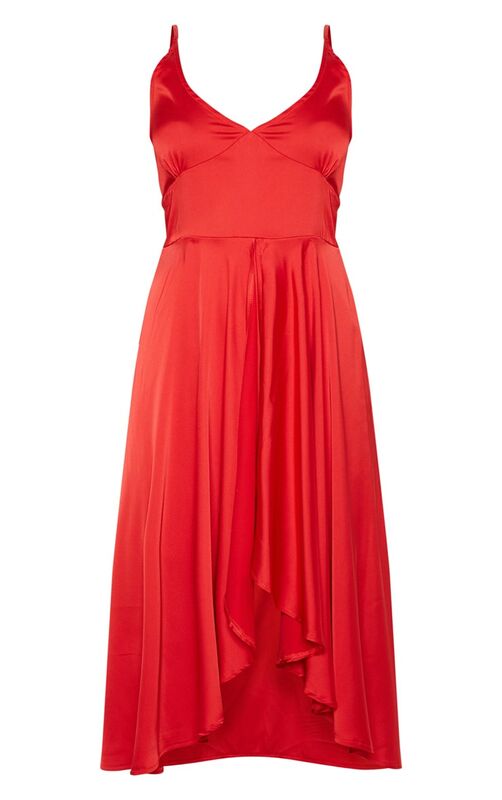 Add a pop of red to your wardrobe with this stunning midi dress. Featuring a red satin fabric with a plunging neckline, layered skater skirt and thin straps. Team with gold barely there heels and matching accessories for a look that will have all eyes on you.